Suva will take on Nadroga in the NFL this Sunday at 3pm FJ Time at the ANZ stadium. 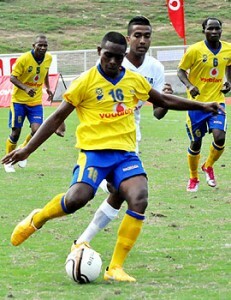 The capital city side has to win this match to remain in contention for the league. Four of Suva’s regulars, Leone Damudamu, Ravinesh Karan Singh, Semi Rokoqica and Samuela Vula could miss this match for disciplinary reasons. Suva has 28 points after playing 13 games and it is third on the National Football League table behind Ba (30 points from 12 matches) and Nadi (31 points from 14 matches). Nadroga lies third from bottom with 11 points from 13 games.